The 40-year-anniversary AAAS conference takes occasion to look back to early American colonial endeavors of the Puritans who viewed the New World as a place to create a New Canaan, to revisit the utopian communities of the 19th century, to look ahead to visions of ecological and economic future worlds. From the start, American utopias have been eminently political, be it as religious diaspora or socialist experiment; and yet, their agendas have just as prominently been articulated via texts. Conceiving of alternate systems (real or imaginary) necessarily involves meditating on difference and otherness in varying degrees of radicalness. Whether fantastic or realist, successful or failed, utopian or dystopian, such imaginations deal with spiritual crises of some sort that need to be taken into account when assessing their narrative content as well as their representational strategies. Questions that may be raised are: Why have utopias thrived in one period and disappeared in others? What solutions do utopias offer to the dilemma of positing the end of history and envisioning a better future? What is the relation of utopian narratives to science fiction? How has the shift in utopias from space to time affected the relation between individual and collective time, esp. regarding the experience of everyday life as quintessential sign of utopian representation (Roland Barthes). Are utopias emblematic for the fateful separation of art and culture from the social, as Herbert Marcuse has suggested, or are we still governed by an overarching utopian impulse that Ernst Bloch has famously called the Principle of Hope? 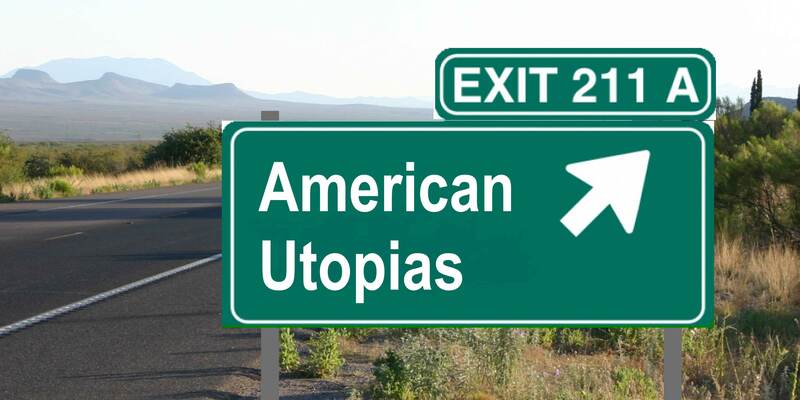 Is the concept of utopia still meaningful, as Fredric Jameson has recently and forcefully asked, and does America’s future still hold promises for a ‘perfect society’ that does not (yet) exist? © 2013 Austrian Association for American Studies.